Edmundo Ros was born in Trinidad in December 1910. The family moved to Caracus, Venezuela. Edmundo's musical career started in the army, then he became the tympanist in the Symphony Orchestra of Venezuela. He moved to London in 1937 to continue classical studies, but popular music was to become his career. He played drums in Fats Waller recordings, played percussion and sang in Don Marino Barreto's Cuban band and formed his five-piece Rumba Band in 1940, and the rest is history. Edmundo's Rumba Band with strange rhythms was a smash hit in London, although the Nazi bomb almost hit the club. His first recording for Parlophone was Record of the Month in June 1941 (Harlequin HQ CD 15). The contract with the famed Bagatelle Restaurant opened the doors for Ros to high society. All the leaders of Allied Countries and the Royal Family came there to dine and listen to Edmundo's Rumba Band. In 1951 Edmundo bought the famous Coconut Grove and named it "Edmundo Ros Dinner and Supper Club". Only those mentioned in "Who's Who" were allowed in the club. The Club was world famous and the BBC had regular radio broadcasts there. In the late 1950's Ros got a smart idea of recording Broadway musical melodies arranged to different Latin rhythms: the mambo, cha cha cha, rumba, samba, baion, bolero, valse creole, meringe, guaracha, and the conga. He also made a series of TV shows for the US and European markets. The 1960's was the the peak of Edmundo Ros' popularity and commercial success. Edmundo retired in 1975 and moved with his wife Susan to Javea, Alicante, Spain, where he lived until his death on 21st October 2011. 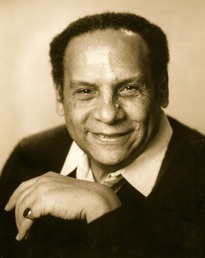 In 1994 Edmundo conducted and sang with the BBC Big Band with Strings at The Queen Elizabeth Hall in London. The other conductor was Stanley Black. The concert was broadcast over BBC Radio 2 and it was such a success that a Japanese recording company invited them into a recording studio in London to make yet another Edmundo Ros CD. Edmundo Ros was awarded the Order of the British Empire by Her Majesty, Queen Elizabeth II, in the 2000 New Year's Honours List! Latin American Music at it's best!